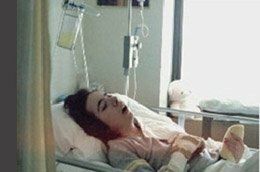 An emotional documentary about Chris Bussalacchi, a young woman who remained in a persistent vegetative state after a serious car accident. U.S. correspondent for Swedish Television, Folke Rydén, and cameraman, Mats Lund, were the only media allowed to closely capture the last three years of Chris’s life. This film describes the anguished decisions that faced all involved in Chris’s life.